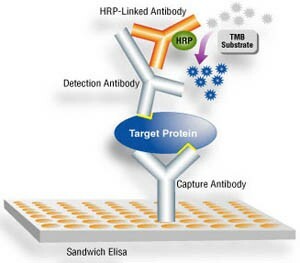 Enzyme-linked immunosorbent assay (ELISA), also known as an enzyme immunoassay (EIA), is a biochemical technique used mainly in immunology to detect the presence of an antibody or an antigen in a sample. The ELISA has been used as a diagnostic tool in medicine and plant pathology, as well as a quality-control check in various industries,such as ELISA application in food industry. Scope of the Report:This report focuses on the Enzyme-Linked Immunosorbent Assay (ELISA) in China market, to split the market based on manufacturers, Regions (Province), type and application. There are 18 Chapters to deeply display the China Enzyme-Linked Immunosorbent Assay (ELISA) market.